he asked late Mr.Yukph Tada, a great world class yacht man, to make him to be an apprentice. In 1993~1994, he achieved his first yachting trip of an around alone the world singlhanded with the world record as 26 years old young man (in that day). In 2002~2003, he joined the " Around Alone." a singlehand yacht race and got a fourth winner on Class Ⅱ. 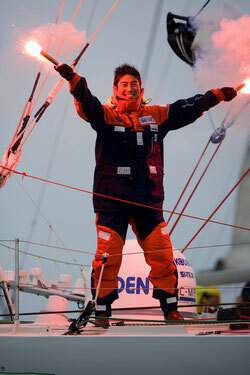 In 2006~2007, he joined the " VELUX 5 OCEANS" a singlehand around alone the world yacht race and got a second winner on Class Ⅰ. 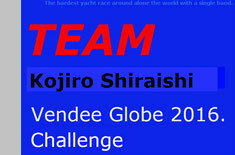 In 2016~2017, he will challenge the "Vendee Globe 2016." called the most extreme yacht race in the world as the Sea Everest. Photo by Youichi Yabe at the finish of "VELUX 5 Oceans." The "Spirt of Yukoh Ⅲ” joined 2006~2007. "VELUX 5 OCEANS." 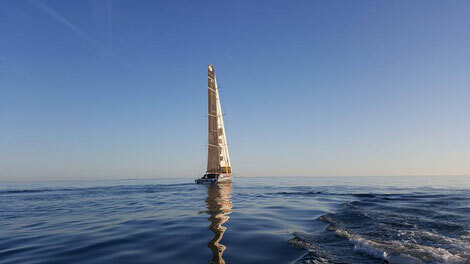 a singlehand around alone yacht race. She got a second winner on classⅠ. Kojiro Shiraishi involved a social servise deeply and he gothered five high school students of the Kamakura foster care facility and sailed to the Izu island round 80 miles trip from the Zusi Marina located at the Miura Peninsula close to Tokyo. Kojirou Shiraishi said to students that "We can't select our born stories, and we can't say any excuses on that stories in our future societies. A only thing you have to do is not to do with grief, but to put on yourself a well power to pass through your hardship ! " First his challenge for the singlehand around alone yacht race "Around Alone 2002-2003. " 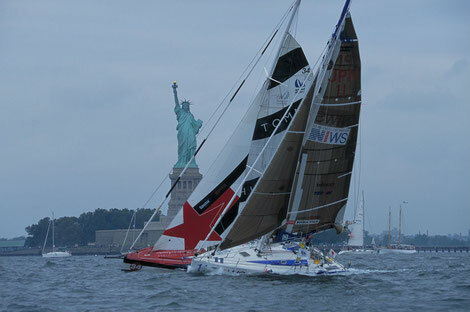 A photo shows a race strat on the New York port. "Spirit of Yukoh Ⅱ" got a fourth winner on ClassⅡ. The late Yukoh Tada, Kojiro's respected mentor was on a board with playing an altosax. He was a great yacht man who got the first winner of the third BOC 1982~83. around alone yacht race as a Japanese. Encouraged Kojiro Shiraishi visted his house and asked to make Kojiro to be his pupil and to be. Kept a life as a taxi driver, he played an altosax on a board and loved an artistic culture, (got a prize on the Nikaten: one of eminent societies of artist groups in Japan. 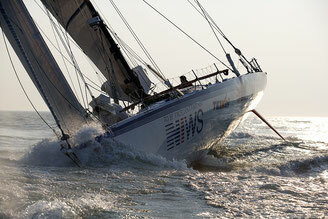 ), kept a free spirit, he is not only a mentor of yachting but also a leaderof the life. Kojiro Shiraishi is also an expart as a sword man as a "I・A・I." (draw and strike one's opponent by a sword while kneeling.) He met Mr. Kenshin Washio, a teacher of "I・A・I." and became a pupil soon. At a time to draw a sword, not look an opponent but look him in a mind, a teacher's teaching is also as same as an instant decision on a board of yacht. " If we can't keep a Mental Power as same as a Physical Power on a board, we can't run on Oceans 20,000km with a big boat as 60ft. I found out "I・A・I." as a well method from the Easten Philosophy to keep a mental power. Kojiro said. Kojiro Shiraishi is also an excellent athlete. He callenged a sky diving. And he left Concarneau to New York via New Port USA. 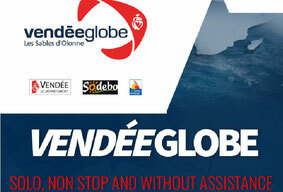 to join a prerequisite race for the Vendee Globe 2016. on May.4 2016. 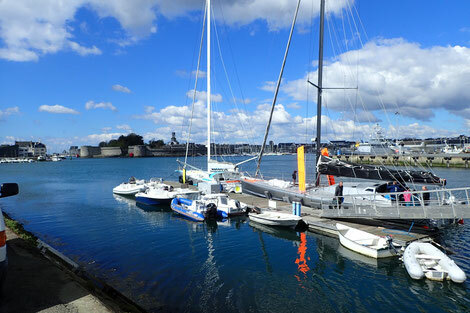 Kojiro Shiraishi set a base camp at the port of Concarnau in France and inspected a boat Spirit of Yukoh Ⅳ. This boat was a former "GB, Hugo Boss." of Alex Thomson, who was a third winner of the Vendee Globe 2012~13. Inspect with Gilles who are a captain to move a boat to New York. Calm port Concarneau. May. 1 2016. 写真：Photo by Masae Robo in France. 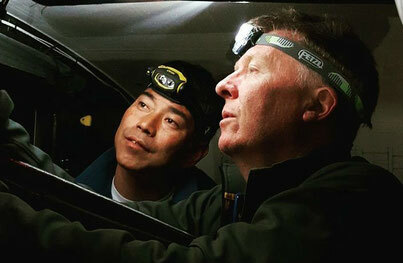 In the night, inspecing a boat with Tony who is a husband of the late Yukoh Tada's niece in UK. 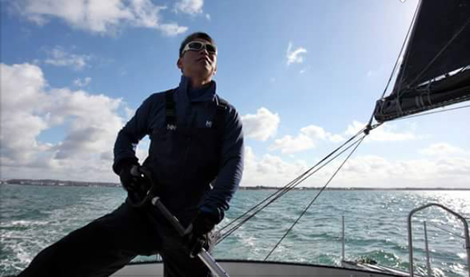 Left a Concarneau port to New York to join a prerequisite race for the Vendee Globe 2016. 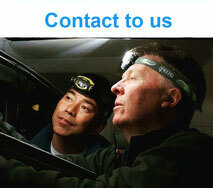 Cptain is Gilles and Kojiro is a co-skipper. May.4 2016. as of 20:00 Frenchi time.